Leather docks to match my Leather WindowBlind. Docks included in the zip folder. Tab - Zoomer - Tile. Enjoy. 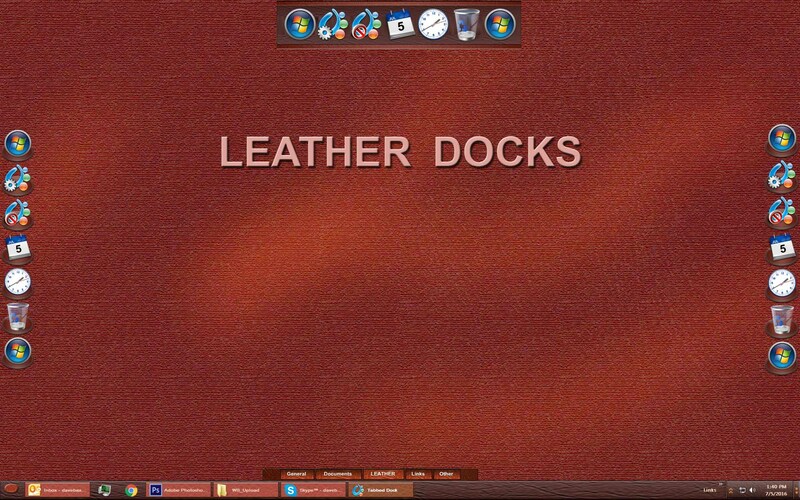 Great to see your new "Leather" skin for ObjectDock !! I think I'll cover my TOWER in Leather too!! !